Creating a killer call-to-action can be the key to getting users to subscribe to your blog, register for your webinar, and/or request a consultation or demo. I would even go so far as to say that you cannot have a successfully performing website without CTAs that are clear, concise, and enticing. When you manage to optmize your calls-to-action, you have the ability to directly affect their attention and decision making on whatever page they’re on. Developing the best CTAs come from understanding your user's behavior, creating attractive designs, and writing enticing copy. Now that we have the underlying concepts that make a great CTA, let's look at these ingredients more in depth and review some case studies that have utilized them in their own optimization processes. Before you start changing all your CTA colors to the most intense neon orange you can find and upping font size to 70px, you first need to develop a solid understanding of how users move throughout your site and what cues they typically react to. 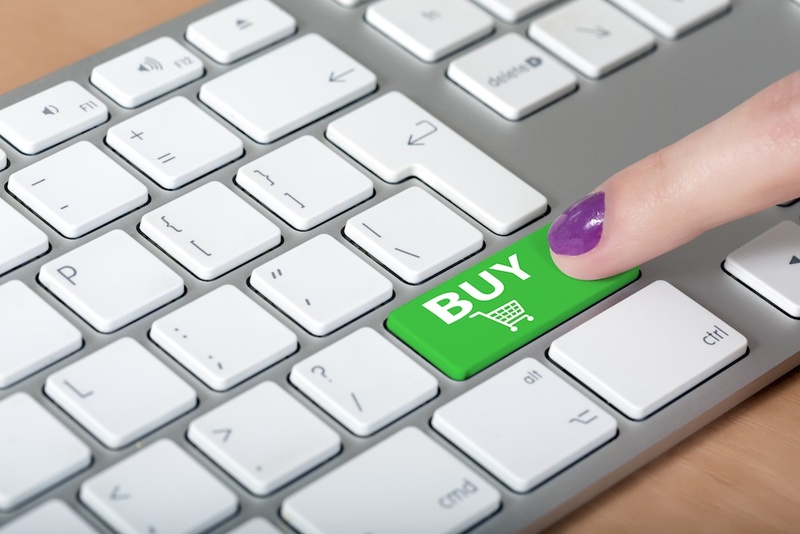 Users can interact with your site in a number of different ways. For example, some will want to learn about your company and see if your services solve their pain points, while others will search for resources in the hopes of educating themselves on certain topics. While your users may find what they are looking for, your CTA may actually be difficult for the users to understand, ultimately deterring them from converting on that page. To help solve for this you need to understand what persuades your users to click. This can be figured out by interviewing the customers and asking them questions concerning the elements of your site. If you find you don’t have a solid understanding of what type of user you want to focus on attracting, try utilizing a personas creative tool so you at least develop an understanding of what an ideal customer for you looks like. As for those CTAs you currently have throughout your site, you’ll first need to figure out where their stats stand so you have something to compare when you test your new CTAs. For those who have HubSpot, you can easily retrieve these statistics within their software. If you aren’t on HubSpot, you can integrate Google Analytics and set up event tracking on your buttons. If you’re a Wordpress user, you can incorporate a CTA plugin where you can create and track your CTAs in a visual interface. After you have accumulated a fair amount of stats on the CTAs you plan on changing, you can begin to combine them with the information you learned from your research to start redesigning your CTAs. When creating your new CTA, you need to make sure it’s substantial enough to call the user’s attention. This can traditionally be done by utilizing a contrasting color from your site, a clear and strong font, specific placement, and actionable content (but we will touch on that in a bit). For now, let’s take a look at a couple case studies to see how they addressed their CTA dilemmas. 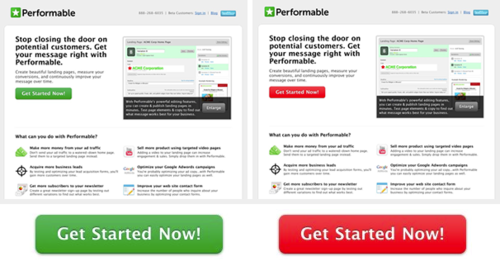 Before being acquired by HubSpot, Performable tested whether or not a change in their button color from green to red on their homepage would demonstrate an increase in conversion rate. When changed to red, they found that 21% more people clicked on the red button than the green one, no doubt because red had a more intense presence than the green did. Another interesting case study to look at is The Vineyard, a luxury Hotel stationed in London. In the past, the website had a ‘booking online’ link at the bottom of the page which was incorporated into the content. To bring more attention to it, they created a ‘booking online’ CTA at the top of where the content started with a burgundy background and large, distinct capitalized font. Moving the CTA and making it more distinct ended up increasing their conversions by 32.12% which goes to show how visual differences will draw the user's attention and aid in converting them on the page. Now that we see the power that design changes can have on a CTA, let’s take a look at how CTA language plays into the mix. Your copy illustrates the driving action your users should complete on whatever page they are on. If the content doesn't properly describe what you users will plan on getting once they click through, then your users may end up avoiding converting on the page since they don’t feel a sense of desire to get what you're promoting. You need to write CTA copy that’s desirable for the user to click, contextually makes sense, and stands out from the rest of the content on the page. 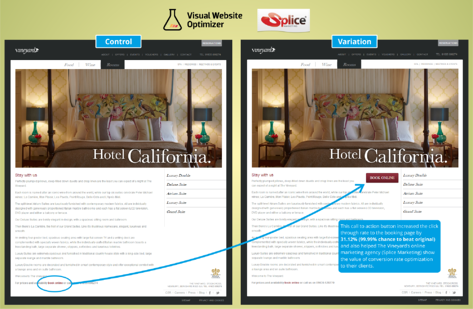 Visual Website Optimizer's homepage displays a perfect example of how incorporating proper copy helps drive users to convert. Besides the visual contrast the orange button creates against the purple, the content of it offers more information than just a traditional ‘sign up’. Adding in ‘free’ shows the user they have the opportunity to test the software before they make a full commitment to it. VWO even placed sub-content below the button specifying that the user doesn't need a credit card for the sign up which adds more reassurance on the user’s end that they can choose to buy the product on their own time. Treehouse is another excellent example of a website with an above-the-fold CTA that draws your eye right into the content. 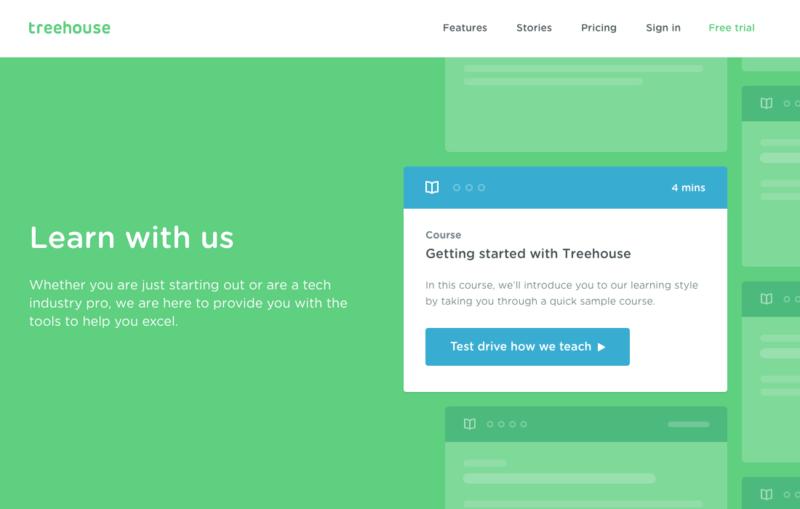 Rather than implementing a CTA advertising a free trial, they invite the user to see how Treehouse will teach the user. This gives the user a chance to learn about how the product works before even fully test driving it themselves. By combing your research with the elements of design and concise and actionable copy, you should be able to build CTAs that are ready to convert like crazy. Unfortunately, we sometimes don’t hit the nail on the head and our CTAs actually do the same, or even worse, than our previous versions. With this in mind, there's one final component you need to implement to create the best CTA you can. It's important to realize your CTAs are never perfect, regardless if they perform exceptionally or flop like a fish. 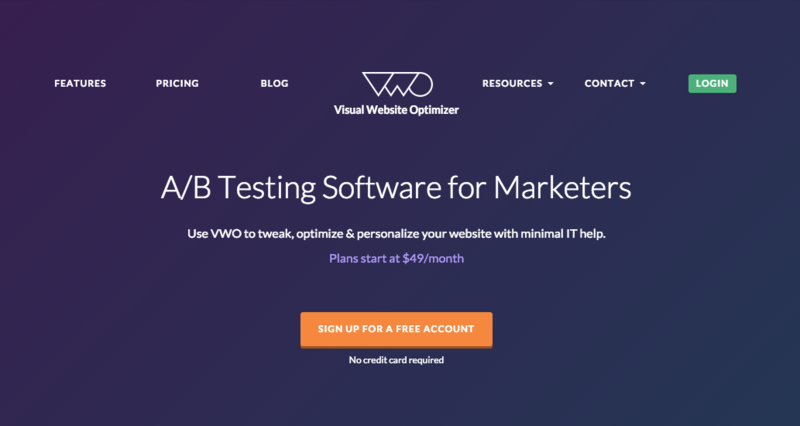 This is why it’s critical you run testing variations on your CTAs to develop and understand what styles and wording facilitate the most conversions from your visitors. Tools such as Visual Website Optimizer, Optimizely, or Adobe Target can help you create variants of your page while monitoring its statistics so you can A/B test your CTAs to their hearts content until you get satisfying results (just don’t let it go to your head! ).